Looking for the perfect all-around flavorful spread or vegan cheese to make and use throughout the week? This 10-minute, 5-ingredient, protein-packed, quick and easy Garlic Basil Vegan Tofu Ricotta is your answer! Enjoy it with some toast or crackers, spread it on a sandwich, make a variety of different Italian dishes, or dip your favorite veggies into it! AND It’s Delicious, Easy to make, and Healthy. 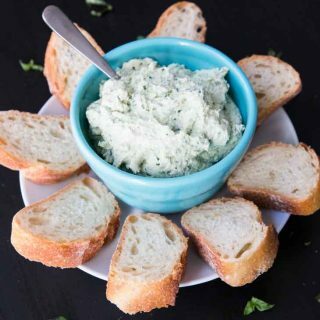 It’s my 5-Ingredient Garlic Basil Vegan Tofu Ricotta ‘”cheese” spread! And it’s here to stay… literally… I have so many recipes that use this awesome spread! 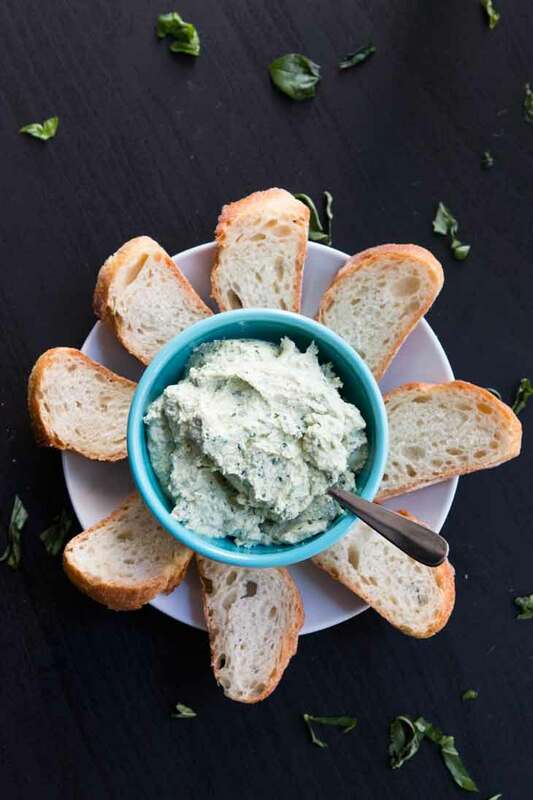 This recipe was inspired by a family friend, who went out of her way to make a quick vegan version of a feta-cheese spread at a baby shower I attended. Not only am I a sucker for toasted french bread and anything spreadable that goes with it, but the ingredients were simple and healthy. The base of this spreadable vegan cheese is tofu. I added in some fresh herbs and spices. I also wanted to perfect the texture so that it felt like more of a spreadable tofu ricotta “cheese” rather than a crumbly seasoned tofu. After a few trials, I came to this PERFECT blend of 5 main ingredients. …add in some salt and freshly ground black pepper and THAT’S IT! This is my very first attempt at developing a vegan cheese spread at home, so I was pretty excited with the end result. It’s also nut-free (for those of you with nut allergies). Don’t get me wrong…I love using nuts to make cheese sauces and as a creamy substitute, but coming up with something other than nuts as the base was a nice change. How To Use This Garlic-Basil Vegan Tofu Ricotta? 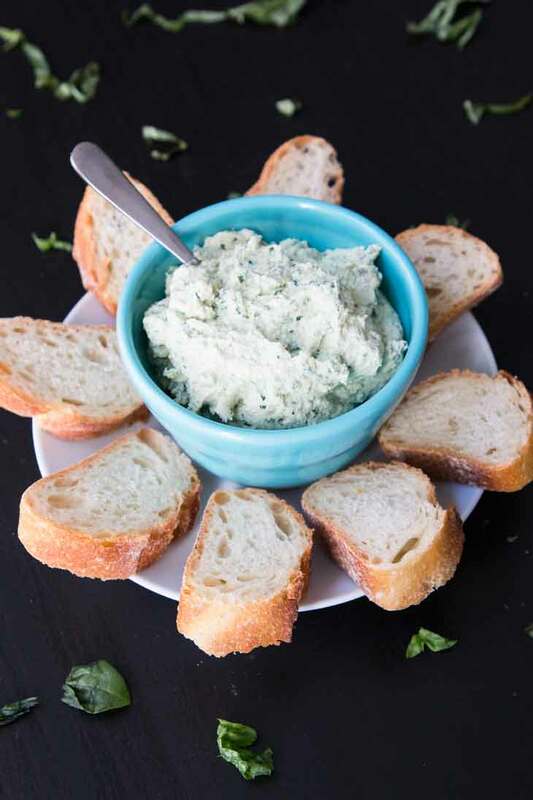 Now that you have this quick and easy 5-ingredient vegan ricotta cheese on hand, what can you use it for? 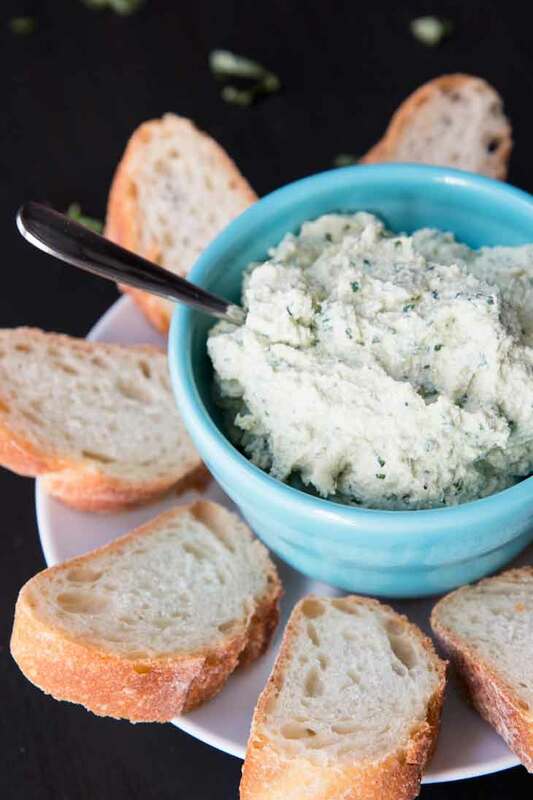 I’ve made several batches of this vegan ricotta cheese spread already. It’s great to keep in the fridge to use throughout the week! This recipe is also very kid-friendly and a great way to introduce tofu to their diet. My kids love it, and it makes for the perfect spread on sandwiches for school lunch. So grab some sprouted tofu and try this recipe out. I’d love to hear what you think and how you use it. I guarantee you’ll fall in love with it. If you like this recipe or post, be sure to leave a comment and use the rating field! You can also tag me on Instagram with any re-makes, @vegetariangastronomy #vegetariangastronomy so I don’t miss it, as I love sharing them on Re-Make Fridays! Or you can help me spread the word about my recipes on Pinterest and Facebook! Thank you! This 10-minute vegan cheese is perfect for sandwiches, Italian dishes, and to enjoy with crackers! It requires no cooking, is protein-packed, and really easy to make! Cut the sprouted tofu in half. Soak as much water out from each sprouted tofu half as possible. I use paper towels to squeeze out the water, especially since you don't need to worry about keeping the tofu in tact. Depending on how much water remains in the tofu after squeezing it out, you may or may not need to add additional water into the mix while blending. 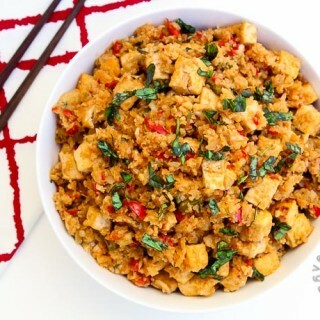 Add the tofu, along with all the other ingredients, except for the additional water, into a food processor. Pulse a few times until you come to a thick, yet somewhat smooth consistency. 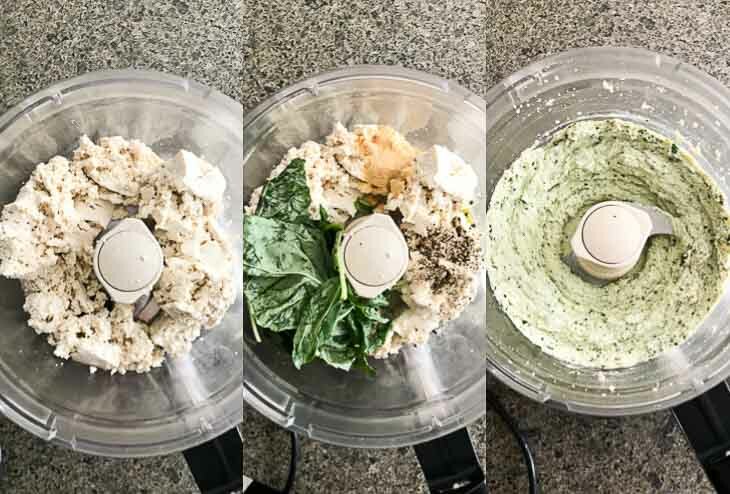 The basil leaves should not be completely blended in and the tofu should not become a puree (in other words, the final mixture should still be white in color from the tofu with the basil very finely chopped and mixed in). Feel free to add 1-2 tbsp water if needed for consistency or to aid with the blending process. The final consistency should be a very thick, spreadable mixture and NOT pour-able (if it is, then your mixture contains too much water and/or you blended for too long). Season with additional salt/fresh lemon juice if needed, and add freshly ground black pepper if you prefer. Store in an air-tight container in the fridge and enjoy! Spread it on toasted french bread or crackers, dip your favorite veggies into it, use it in your favorite pasta or lasagna dish, or use it as a sandwich spread! Tofu - use either extra firm sprouted tofu or extra firm regular tofu. The sprouted tofu is slightly different in texture than regular extra-firm tofu, but either will work great. Thanks Rashmi! I love that this spread is tofu-based and not nut-based since most cheese sauces i've made uses cashews or other nuts. Fresh herbs, especially basil, is a favorite of mine! Thanks Reshana! I can't wait to share a few recipes using this spread (a few of which you probably already know because of IG). Could this be used for ricotta to stuff pasta shells? Perhaps with less lemin? Absolutely! In fact, I have a recipe coming up doing just that. And actually I would probably keep the same amount of lemon. Make the spread and try it out to adjust the amount of salt and lemon if needed, but it should be fine just as is! I've also added a large spoonful into my favorite marinara over pasta and it tastes great. Let me know if you try it! Just made it, turned out nice and yummy. 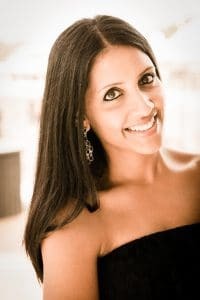 Thanks Anjali for your great recipes! Keep them coming! I'm so excited you tried out this recipe! It's so simple and a great way to use sprouted tofu. I add it to everything or even just eat it plain on toasted french bread. Thanks Lucy!! sprouted tofu is basically tofu made from sprouted soybeans. they are typically more nutritious and easier to digest, and for this case, I buy the sprouted tofu at Trader Joe's and find it to be a little less watery as well. You could probably make this with regular firm tofu also. Just take out the water and add if you need. Lovely version. I used the Lemon zest and oh my! Only had firm so I eliminated extra water. Perfect! Awesome! So glad you loved it...so easy, simple, and tastes delicious! I'll have to try the lemon zest next time! Thanks! I have a lasagna recipe coming out soon where I used this ricotta and it came out wonderful! Thank you SO much for the great review and trying it out! It is SUCH a great replacement...and so few ingredients but super flavorful. I love making a huge batch and using it in everything throughout the week. 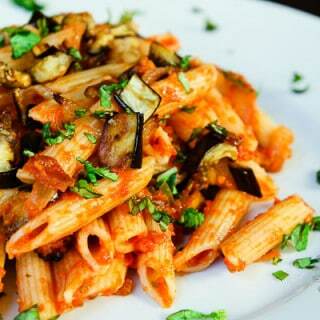 I love it also with my eggplant parm sandwich recipe. I have a few more recipes coming soon using this ricotta! And yes...can totally sub extra-firm tofu...i've done it before several times as well (and i should probably modify the recipe to add that as an option, so thanks for reminding me!)! I love that you can use this with so many things! please clarify serving size.one place says 2 cups, is that correct for the calorie count? serving size is 1 cup and there are 2 servings in the recipe for a total of 2 cups. hope that helps! Hi, I'm new to your website, I'm excited to try the lasagna recipe and that brought me here. Is there anything other than tofu I could use for the cheese spread? I a newly converted vegan and am just beginning to make recipes I find. Thanks for following! I'm sure you'll LOVE this lasagna recipe. Although I don't have any other non-tofu based vegan ricotta recipes, there are a bunch of almond based or non-tofu based vegan ricotta recipes on the web! Let me know if you can't find one! Otherwise to be honest, you can spread just about anything here...even just another layer of roasted veggies would work well. Also, if you ever need any of my most popular easy vegan recipes to get you started, let me know! Email me vegetariangastronomy@gmail.com or contact me through my website page and I'll send you over a few to get started! Thank you for such a great recipe Anjali! I've had a whole block of tofu sitting in the fridge for a few days and I know what I'll be making with it tonight! Thank you for sharing. That's awesome to hear! Let me know how you liked it! This recipe sounds amazing. I love that its super simple to make. Yum. Can't wait to have this with crackers! Also, that is a very sweet friend you have. I've gone to many baby showers with zero vegan options haha. Oh beautiful basil! Your ricotta looks especially bright and delicious with it! I'm always on board with anything that is ready in under 10 minutes. I bet this would be delicious in crepes! I know right!! Fast and easy is always great! Thank you!! It's so versatile! Haha! thank you ...love the comment! It's quite addicting. But good thing is that it's easy to make! Thanks for the great review! May I ask how long is shelf-life? The main two ingredients on here are basil and tofu so I'd say around 3-4 days. I just prepared this and I followed your recipe exactly. It turned out perfectly! Taste is great. Now I am going to start on your vegan lasagna recipe. I will probably put the casserole in the refrigerator and then bake it this evening. Thank you so much for these recipes, especially a cheese substitute that is not made with junk. Thank you so much with all the awesome reviews! so glad you tried this recipe! You'll have to check out my others that use it...the eggplant parmesan or just toss a dollup of it into your favorite pasta! I just used your recipe for a dairy free lasagna. It was amazing. I doubled the garlic and basil to add extra flavor. We loved it! Awesome!! So great to hear! More garlic and herbs are always a win in my books...this tastes great with so many recipes, you can even add a dollop of it to your favorite pasta dish! Thank you! Thank you for this recipe. I am testing out vegan appetizer recipes in advance of Thanksgiving. I will have a mixed crowd of plant based eaters and omnivores. I wanted the appetizers to be appropriate for everyone.I just made it and it passed the test with my husband. I ate it on wheat toast, with tomatoes, for lunch and it was yummy. That's so awesome to hear!! thanks Laura! You can use it for so many different things...as a spread, in lasagna, a dollop of it in pasta, etc! If you need more thanksgiving appetizer recipes that are popular on my site, please don't hesitate to message me at vegetariangastronomy@gmail.com and i'll send you a few favorites!